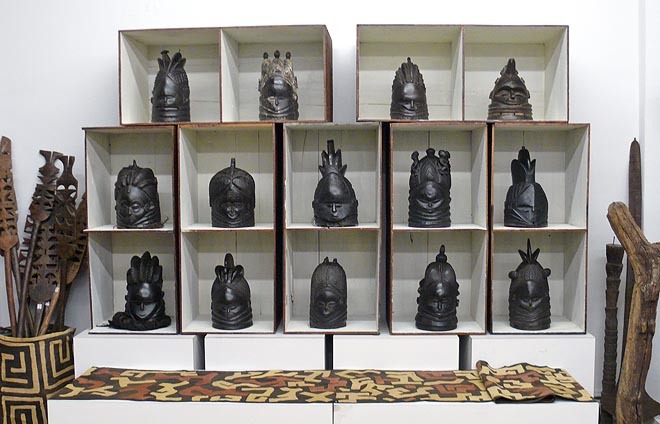 The masks below have been SOLD and are left here for reference and educational purposes. These masks have been vetted as authentic, dating from the late 19th Century to the late 20th Century (each is identified). 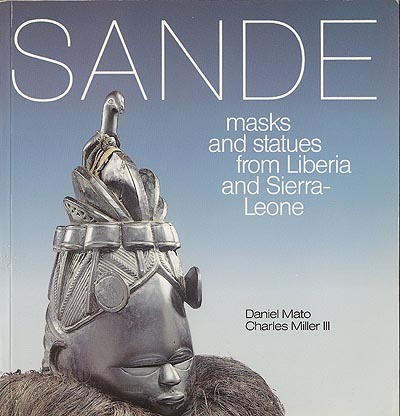 These masks were vetted by Daniel Mato, author (with Charles Miller III) of Sande, masks and statues from Liberia and Sierra-Leone. Condition reports are on each individual page. 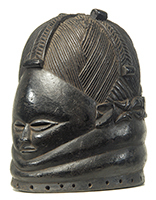 Bundu (or Sande), a women's association, is almost unique in Africa in that it controls the use of these masks, which embody Sowo, their guardian spirit. 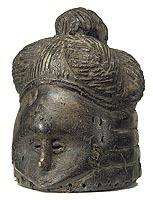 The masks usually include an elaborate hairstyle and attempt to represent serene feminine beauty, with high foreheads, small, compressed facial features, and voluminous neck-rings, depicting the desirable full-figured woman. Originally all had a dark raffia collar and were worn with a full, dark costume of raffia on cloth. 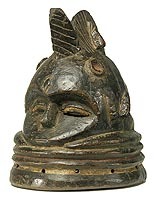 Those with a full or partial raffia collar can be seen on Mende Masks 2.